You've got ideas, you've got skills and you've got the portfolio to prove it. Right now you're probably sending a lot of emails, having a few book crits and landing placements. But then what? 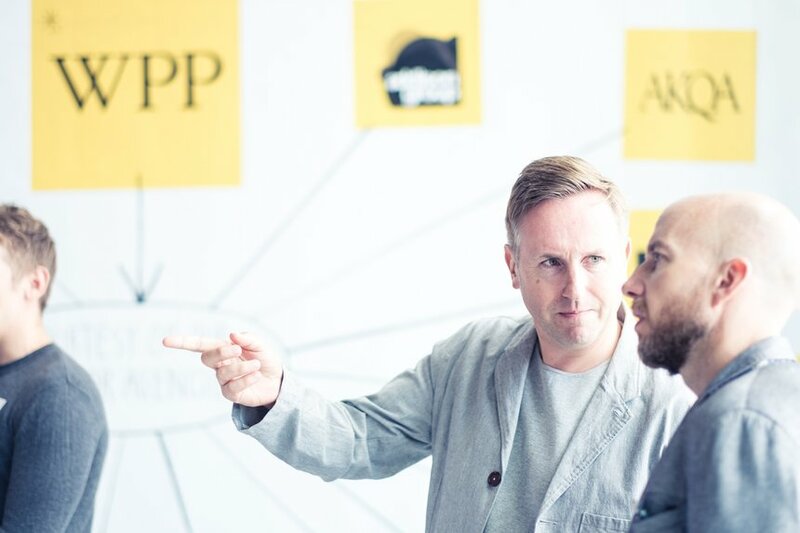 We asked top WPP agencies the secret to getting your foot in the door. You must get a lot of emails from students and new creatives. What are your tips? Be succinct and direct. Cut to the chase, no waffle please. I'm probably skimming the email looking for the important bit, i.e. what you're looking for. Make it easy to see your work. Connect your online portfolio or attach a short powerful pdf (no more than 5-6mb as I will probably be viewing it on iPhone or tablet while on the go). And being fun and charming never goes a miss too. – Alasdair Lennox (Executive Creative Director, Fitch). What do you expect someone to show you in their portfolio? I expect to see original purposeful solutions to the briefs challenge or problem. I expect broader, more expansive ideas that genuinely connect people to a brand and what it stands for. Most of all I expect to walk away inspired myself by the work I’ve just seen. – Ian Haworth (ECD, Wunderman). Above insight-driven, tech-focused and uniquely-innovative ideas? I want to see what you’re passionate about as an individual and work that reflects those personal interests. Graduate creatives come out of the ether with a fairly stock creative mindset. What sets them apart from one another is where their personal interests lie, and how they apply them to their creative process. Having interest diversity amongst the creative team means you all draw from a different and unique creative pool of resource. Find your remote pool and dive bomb in. – Charlie Milton (Junior Copywriter, VML). How can new creatives make the most out of a placement - ie get a job at the end of it? It’s important to us that new creatives are proactive and keen to learn, and therefore flourish within a studio environment. Not only do we look for people that have strong creative ideas they can articulate with passion, but for us it’s also about making connections with the people you work with to build collaborative partnerships. In terms of agency life, the freshness and energy that they bring can have a really positive impact on the studio and inspire new ideas for the future. – Louise Hunter (Creative Director, Brand Union). What are the best and worst things that happened to you starting out? I was lucky enough to start my working life as one half of a design duo with my great friend and art school collaborator, Julia Woollams. We made our rookie mistakes together, giving each other confidence and support as we found our professional feet. It's still relatively unusual for designers to be hired as junior teams but I would recommend it to employers. Working in partnership means wider sharing and collaboration comes naturally. The worst thing for me was getting used to normal office hours after years of pub-based creativity and all-nighters. And of course the horror of the typos that went to print – always, always, always spellcheck and get someone else to proof read your work! – Kath Tudball (Design Director, The Partners). What are the dos and don'ts if folk are setting out to impress a creative agency? Be willing to explore your creative breadth and accept that your education is never over. Don’t police your creativity with precedent or etiquette. Focus diligently on the unchanging behaviour of people rather than trend or needless application of new technology. Finally, put your ideas into practice and always exercise humility, this is the first step of many. – Ian Wharton (Group Creative Director, AKQA).